St. George's Day is April 23rd. He is the patron saint of several countries including Catalonia in Spain, England, Portugal, Georgia, Serbia, Bulgaria, Bosnia and Herzegovina, and the Republic of Macedonia. St. George's Day in Catalonia is especially rich as it celebrates three things: St. George who fought and slayed the dragon and the day of the deaths of Miguel Cervantes and William Shakespeare (April 23, 1616). Boys and men give their girlfriends and wives roses; girls and women give their boyfriends and husbands books. 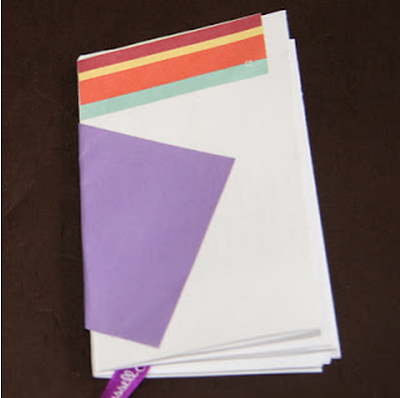 You'll need two pieces of paper (it's okay if they have writing on one side), a piece of ribbon or yarn (mine was left over from an chocolate Easter bunny package), a glue stick, a piece of scrap paper, and assorted decorative paper scraps for collage. 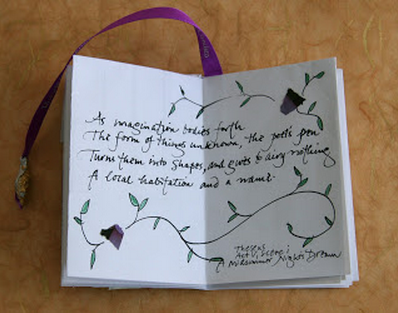 A piece of candy wrapper foil or a bead for the end of the bookmark is an optional extra. Follow the directions to make two hot dog booklets. Insert a piece of scrap paper under the first page of one booklet. Cover the entire surface with glue. 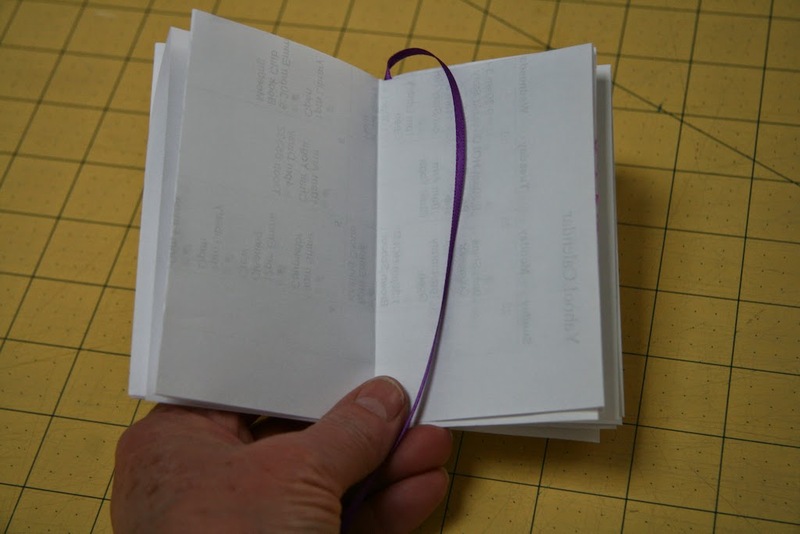 Place a piece of ribbon on the top of the book near the spine with the ribbon extending up beyond the book. This will be the bookmark. Place the other booklet on top lining up the spines. 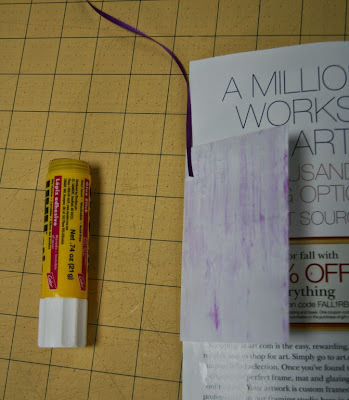 Rub your hand over the surface to help the glue adhere. 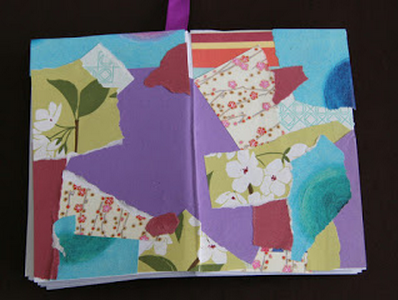 Glue assorted pieces of cut and torn paper to the front and the back to make covers. Start with a not too small piece and wrap it around the spine. 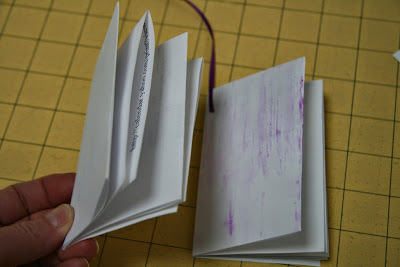 Continue gluing on pieces until the front and back are covered. 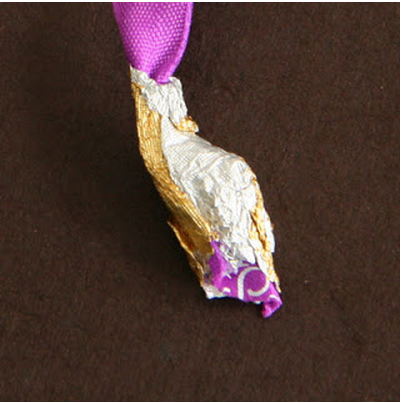 As an extra touch, wrap a piece of foil from candy around the end of the ribbon or tie a bead to the end. 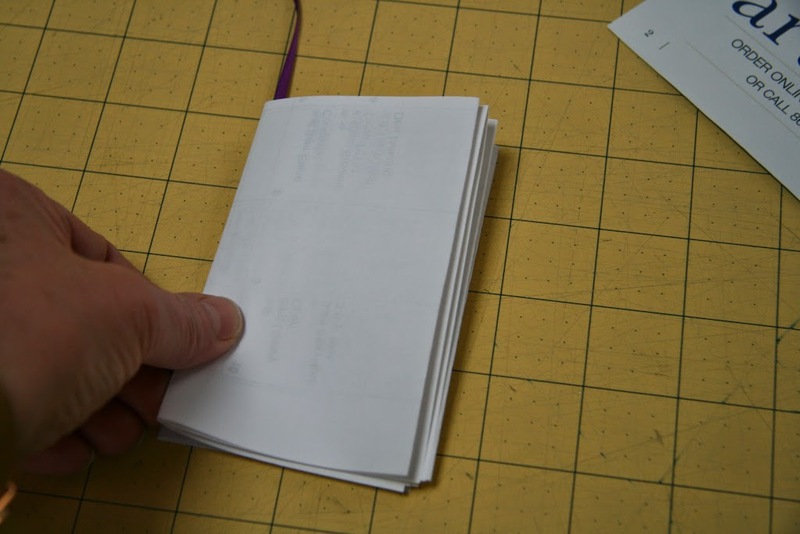 It is helpful but not necessary to place the book under a heavy book or other weight for a few hours. By the way, is the double-book meant to serve together as the bookmark?